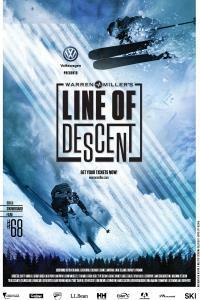 The lineage of mountain lifestyle continues in Warren Miller Entertainment's 68th full-length feature film, Line of Descent. In this year's film, WME travels the globe, by land, air, and sea, exploring the ties that bind ski culture. Ride along on a stunning cinematic journey as we travel near and far, descending some of North America's deepest lines in Jackson Hole, Montana, Silverton, Squaw Valley | Alpine Meadows, and Steamboat. From splitboard to powsurfer, motorcycle, dogsled, and snowmobile, the athletes employ nearly all possible means to chase winter along the Beartooth Pass, the French Alps, New Zealand, British Columbia, and Norway.